One of my most asked questions is how I care for my skin so today I’m excited to be working with one of my favorite brands that I’ve used in my skin care routine for a long time, Clarisonic! Last year I shared my daily skin care routine, not much has changed so you can read my routine in that post here. I included that I love cleaning my face and neck with my Clarisonic Mia. They just came out with this new version that’s smaller than the original making it easy to take on the go! Whenever I travel I take the Mia FIT with me because it’s more compact and travel friendly. But when I’m not traveling I keep it in my drawer by my sink and my larger Clarisonic Mia in my shower. I switch off using both depending on the day! The reason I love it so much and continue to use it in my daily skin routine is how amazing it makes my skin feel! It’s super gentle and leaves my skin feeling so clean and fresh! Have any of you tried the Clarisonic? What do you think of it?? Brought to you by Clarisonic. Thank you for showcasing new products to try out! This looks fantastic. Definitely going to give this a try and see if it works for my skin. Great post! I love my Clarisonic! I don’t use it everyday, but I love the way it makes my skin feel! 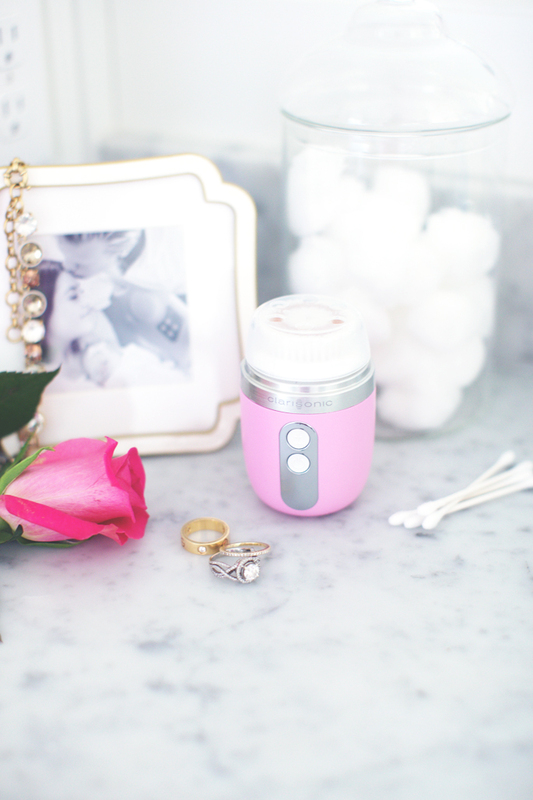 My Clarisonic Mia (the regular size) has been my skincare must-have for years! I’m actually astonished when I see how much makeup is still on my face, even after using a makeup remover wipe! I recommend it to anyone! Love the mini! Right?! It is seriously an amazing tool that REALLY works! I tell everyone about it because I love it haha. Thanks for stopping by Laetitia! I have not tried it yet, I’m sure I would fall in love with it, since I used to use a cleansing brush from Neutrogena 10 yrs ago when I was in high school, and it was similar to this, I used it regularly until they discontinued it. I will have to give this one a try. I’ve heard amazing things about Clarisonic! I feel like I’m missing out- I need to try it! Thank you for sharing your skin care routine. The clariosonic tool is pretty amazing and does wonders for the skin. 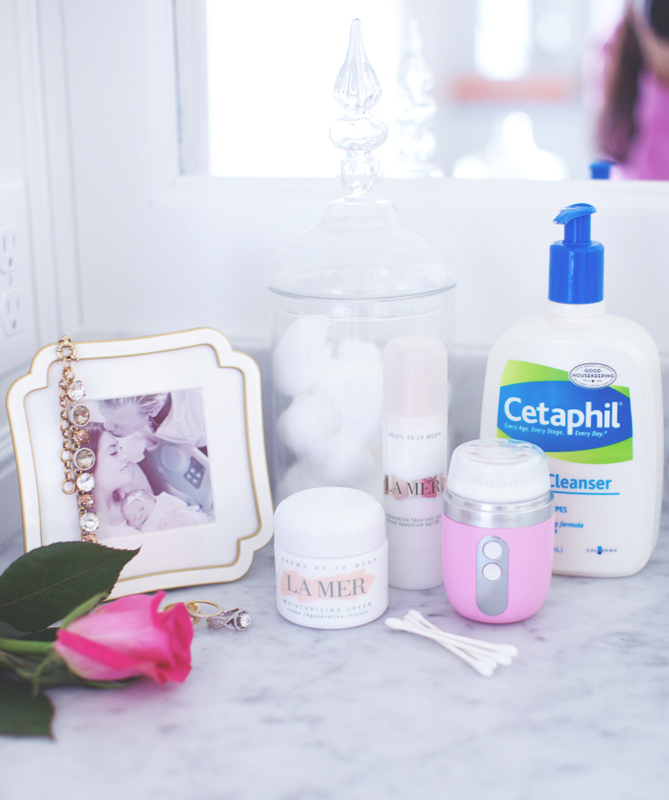 LaMer are my holy grail products and I can’t live without the moisturising cream! This cleansing tool sounds great! I definitely need to give the Clarisonic Mia Fit a try. I absolutely love my Clarisonic Mia. It’s amazing how much extra dirt it removes from your skin. It’s amazing and kind of disgusting!! haha but it proves that it really works! 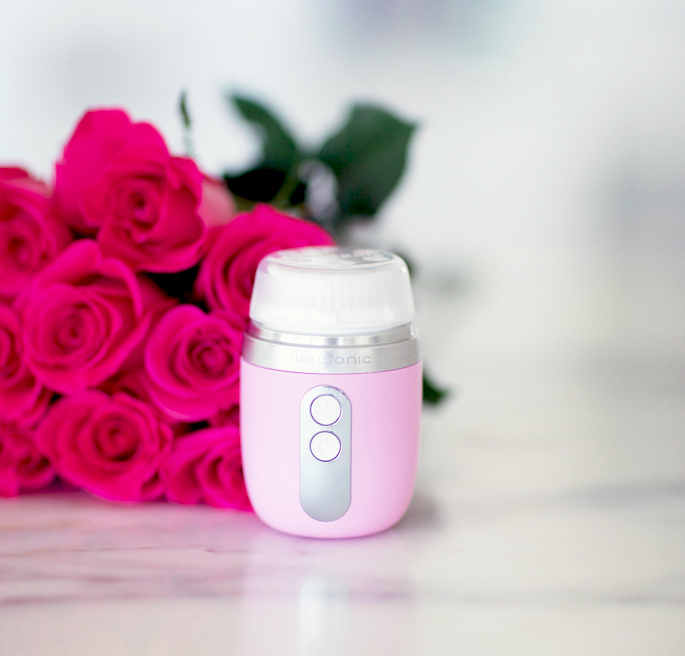 I have the Clarisonic and I love it but actually I prefer Foreo Luna, it’s more gentle. I reviewed it on my blog last year. I swear by Cetaphil and I’ve been wanting to try the Clarisonic, too! Looks perfect for traveling. I love my clarasonic. It does wonders for my skin. Not a silly question! I think you can do it either way, and I’ve done both actually. But lately I put my face wash in my hand and straight onto the Clarisonic! I’ve been wanting to try Clarisonic! I love the Clarisonic Mia. It is so convenient to carry around and an adorable shade of pink! Thank you for sharing your routine. I hope to try out some of the products. The Clarisonic is a game changer. Single best thing I’ve ever added into my skin care regimen. Love the small one you have, definitely would be so much easier to pack for traveling! I couldn’t agree more!!! So true and I seriously love the MiaFIT because of the size. If you love the original you’d for sure love this one! I’ve thought so many times about trying La Mer, but wasn’t sure if it was worth the investment. I use the Obagi line and CE. Ferulic by Skinceuticals. So you do like the La Met? Have never tried it myself, but have heard good things over the years – so they must be doing something right!! I’ve been using Clarisonic for a while & have noticed a big change in my skin too – I definitely think a Mia FIT is on the cards for me too! I love this little mini version. My mother-in-law gave me the clarisonic mia 2 for christmas two years ago but I have only used a few times. My husband’s whole side of the family swears by it. I LOVE the way it makes my skin feel I swear it makes me break out. I have tried twice now for a few weeks and my skin went downhill (quick) both times. Once I was pregnant and the other I changed my acne medication so those could have contributed. I am scared to try again though?! Has this ever happened to you?? Thanks for sharing your routine, you always have perfect skin, and that baby Clarisonic looks super handy for travelling. I’m glad that you and baby Ilsa are feeling better, too! I absolutely love my clarisonic brush! I use it twice a week to exfoliate. If I use it anymore it dries my face out too much and then I break out. Other than that, I love how it makes my skin feel- I totally agree with you! Thank you for sharing your skincare secrets! By the way your vintage style engagement ring is gorgeous! Do you mind telling us where you got it from? (The one in the front) Thank you very much in advance! Clarisonics are my favorite, I’m glad to hear that you liked the small one, perfect for traveling! I love my clarisonic! It’s so great especially after I get home from the gym and I am covered in sweat and makeup. I also love my Kate Somerville gentle daily wash, have you ever tried it? It’s so great and pretty inexpensive as well so that’s always a plus!